With recent threats to U.S. border security presented by a massive caravan of immigrants looking to enter the country illegally, president Trump is suggesting using the military to keep our borders secure until the wall is fully built. "Until we can have a wall and proper security, we’re going to be guarding our border with the military. It’s a big step," President Trump said at a conference. "We really haven’t done that before, or certainly not very much before," he said. Trump added that he had discussed the option with Defense Secretary Jim Mattis but gave no time frame for when it could be implemented. 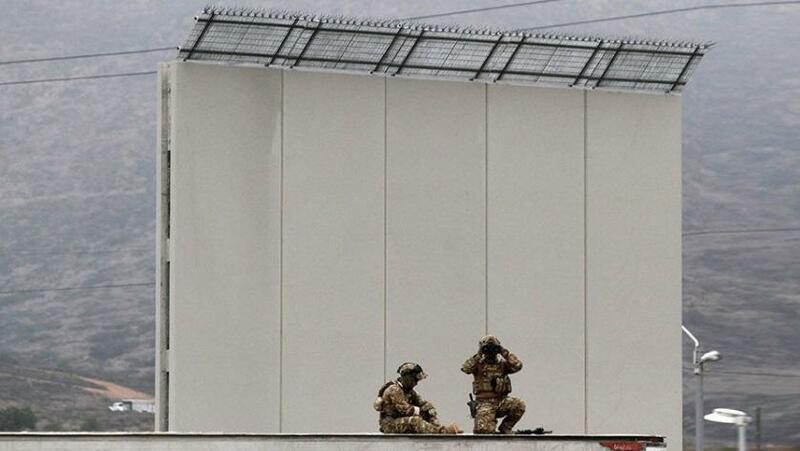 In the past, up to 6,000 National Guard troops were deployed to the border in 2006 by president George Bush. Trump has been commenting on the "caravan" of people from South America that has been making its way through Mexico towards the US. Trump called on Mexico to break up the migrants, the country has taken little action to do so thus far. It would probably take a significant coordinated action by the government quell a group of that size. There are over 1,000 South Americans in the column of people that are leaving garbage, human waste, and sleeping wherever they can in mass groups taking up entire city parks. Trump stressed the urgency of the action needed saying, "Border Patrol Agents are not allowed to properly do their job at the Border because of ridiculous liberal (Democrat) laws like Catch & Release." He went on to say, "Getting more dangerous. ‘Caravans’ coming. Republicans must go to Nuclear Option to pass tough laws NOW." In order to show he means business, Trump threatened to pull out of the North Atlantic Free Trade Agreement (NAFTA), a trade deal between U.S., Mexico, and Canada. The Trump administration is expected to make another push for tougher immigration legislation, but really they only seek to shore up the holes in the defenses that a Democratic president left punctured in our countries borders. Liberal policy is still making it very difficult to defend the border. The caravan was "broken up" Tuesday after the Mexican government and US government agreed to let the people apply for asylum.